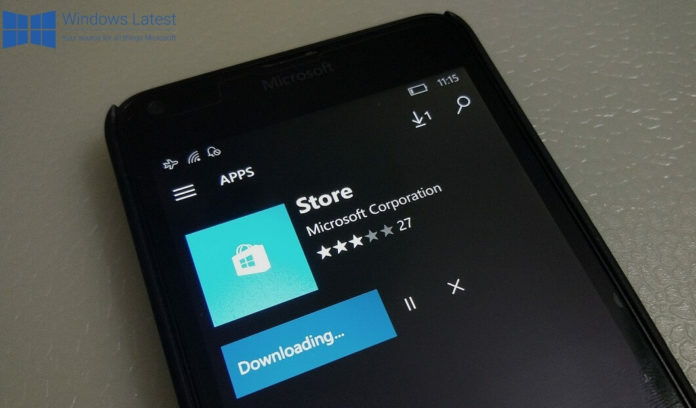 Microsoft today pushed out a new update for its Store app for Windows 10 and Windows 10 Mobile. The app has been bumped to new version 11705.1000.78.0. The update comes with the company’s new Fluent Design’s Acrylic look for Insiders in Fast, Slow and Release Ring. Acrylic design is a blurring of the background of apps in the Windows Store. The Whole background includes the Acrylic material and all of the UI elements. The previous update to the Store looked a bit Ugly with the Dark Grey background for apps. The latest update with the new Acrylic material design looks a lot prettier than the previous update. Microsoft has also added some parallax effects to parts of the app which are currently visible for users on Windows 10 PC’s. The latest update to the Windows Store is currently live and users can get it by clicking the below Store link. Apps are not downloading in this new update..
I’M facing problem with Updates I didn’t get the last update to fluent design.why is that. iam on last build 15215.